We’ll be happy to answer any questions! Student ProjectsAll student projects on blog. 1st Projects1st projects by beginner students. Intermediate ProjectsPosts about Intermediate projects. Advanced ProjectsPosts about advanced sewing projects in class. Patterns used in classPosts about sewing patterns that our students have used. Tips & TricksSewing and Design tips and tricks that may or may not be smart and useful. 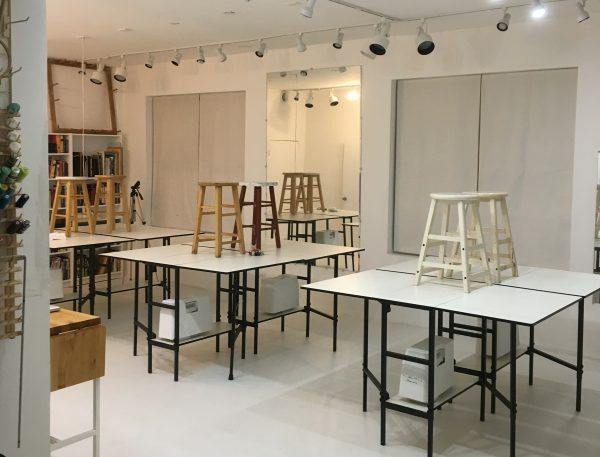 ToolsTools and supplies from the workroom. TutorialsTutorials of various usefulness from the workroom. AboutAbout Tchad® and the workrooms. 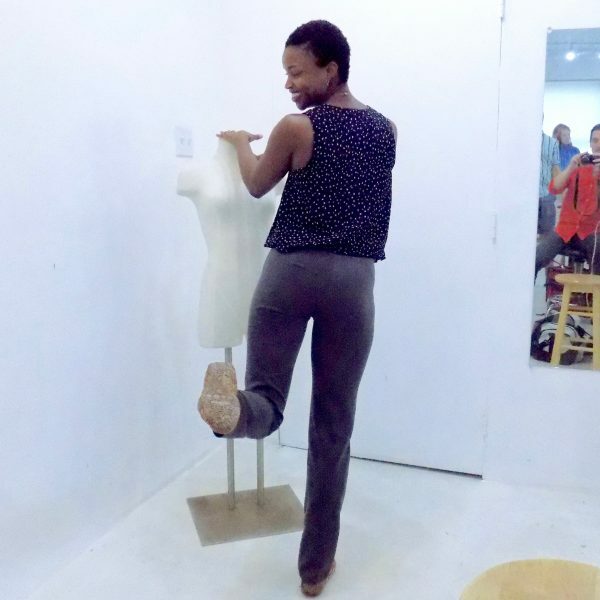 Omoleye and her mother Rosebud took advantage of some free open sewing studio time last week to get a good handle on pants. 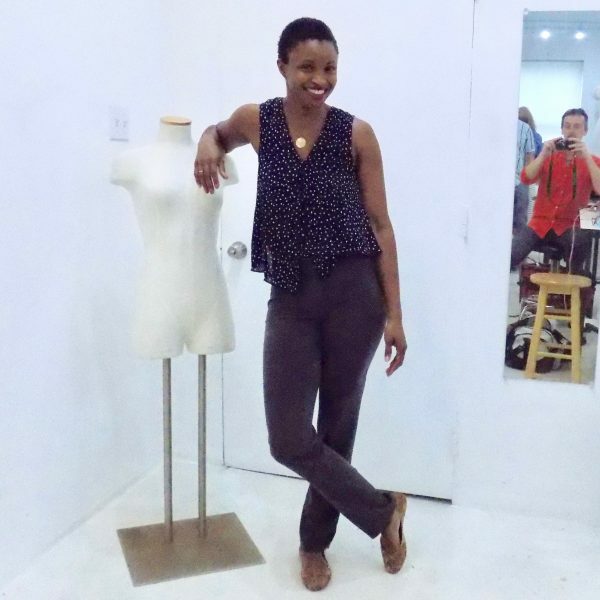 She chose the Sasha Pant by Closet Case Patterns. After downloading the PDF and getting the printed patterns from PDF Plotting, she was off and running. This pattern fit really well right out of the package – we had to do just a tiny intake at the side seam of the waist, but that was more academic than actually necessary. Partially it was because of the wool she used that had a good deal of crossgrain stretch and partially because it is just a nice pattern for a shape that has hips that are full but not particularly round and a smaller waist. The instruction are pretty good, too. We had to introduce the techniques used, but after the introduction to the technique, the instructions themselves made sense and were pretty clear. Overall, the shape is VERY Laura Petrie, in our opinion – a nice mid-century fitted slack rather than a proper trouser shape. She did a great job on these! You can read about the Sasha Pant here. You can find the Sasha Pant here. 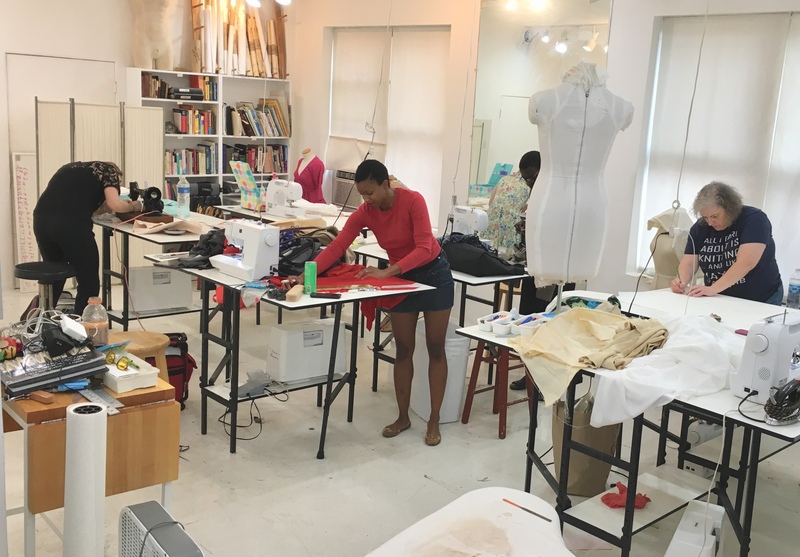 Enrolling Winter 2019 Sewing Classes Now!